I Want You to Prosper - Prosperity is natural. My Karatbars affiliate ID is supreme. 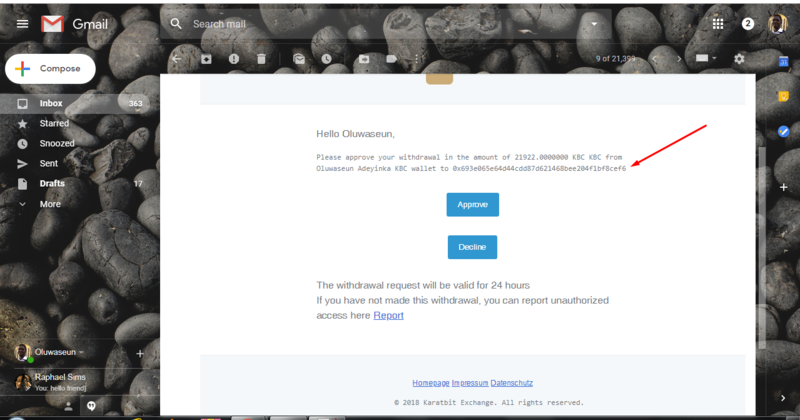 On Nov 14, 2018 I filed ticket number 2329 with the karatbit exchange, detailing the fact that my fellow-member of Karatbars (osheaaddy) sent 21922 coins from his Karatbit exchange to my address on the Karatbit exchange (0x693e065e64d44cdd87d621468bee204f1bf8cef6). 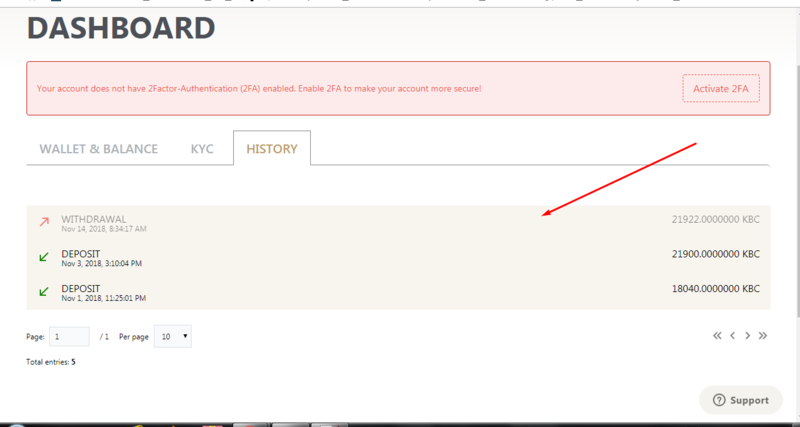 Fix the email message that you get when confirming a withdrawal. As you can see, the email message from my friend said “Please approve your withdrawal in amount of 21922 KBC KBC” — it mentioned KBC twice. This is an error that needs to be fixed. Provide a transaction ID with every withdrawal – I’ve used over 20 cryptocurrency exchanges and ALL of them provide a transaction ID so that you can track the progress of the transaction. 11 days have passed since I filed this ticket on Nov 14, 2018. I never can decide on the best font! Get yourself a windows or linux server. Earn bitcoin with this new fast chrome-compatible browser – just surf and earn! Buy some solo ads to drive traffic to your business. Are you interested in essential oils? Great! The easiest way to acquire gold and cash for free. Frega World is a brilliant implementation of cashback on the blockchain. Very innovative. I hope they make it. This video shows how clever they are. Eliminate all your unsecured debt easily. Build your business credit – learn how get funding without personal FICO. Get 50-250k in unsecured business funding, completely hands off. Once you have one or more referrals in All in One Profits, it’s time to start promoting on their behalf. Because AIOP THE REAL TEAM promotes downwards. So follow these steps to help build a team. Create a page for your downline member(s) using our page creator. You must click “Save” at the bottom to actually save the link. I also suggest that you turn off the “Monetize ads” option just above the save button. Click on “Add Rotator” and create a new rotator. Once created, click on the links icon in your rotator as shown here. A pop-over will come up listing all links you have saved. Select the link you just created as shown here. Scroll down and click Submit as shown here. Your new link will show in the rotator now as shown here. You can visit the rotator link over and over and each time a different team member will show. How to help folks in a truly meaningful and sustainable way is a very real challenge. I do some work in Haiti to try to help folks there. Most of it is focused on Children, providing an education, and in some cases housing, mainly. When there, the people asked what I brought for them often. This is because they’ve been conditioned to expect visitors to bring them something. Because of my involvement, I am often contacted by individuals asking me for money. They all have a story and it’s generally a real one. But it’s usually not beneficial to just give to them. Example: A young lady asked me for $600 to help her start a business selling things on her island (La Gonave). I asked her to provide me with costs, expected returns and a repayment plan to get my funds returned. I’m not a wealthy person anyways, but I thought if she could return it then I could offer someone else the same opportunity. Plus, if she had to pay it back then perhaps I could expect more soberness and diligence on her part, rather than squandering the funds. She wanted nothing to do with it – shocked that I’d asked to be reimbursed for investing in her business. They’ve been conditioned by donations and well-wishers who are myopic in their efforts to help. Disasters in Haiti have included the relief efforts themselves, for many different reasons. Of course, much of that is the elite/cronies taking from the pile. But much of the challenge is helping them to raise themselves above their circumstances rather than simply providing handouts. When you first start with AIOP THE REAL TEAM, you will be promoting your page with no team members to promote for. Your sponsor of course will be promoting downwards. But you should also promote for yourself. Simply fill in the fields below and you will have a link to a page that you can begin to promote immediately. URL to picture. If it is on your local computer, then upload it using this tool and put the link to it in the box as this video shows. I recommend using LeadsLeap for both tracking and rotating. You can contact your sponsor for his sign-up link.